It’s tough to find a nook or cranny where Google doesn’t have a presence. One of its more quiet in-roads has been the travel sector where it’s built a portfolio of travel offerings tailored for every step in a traveler’s journey, from its flight search engine to transportation suggestions on how to reach all the places a traveler wants to visit or things they want to do. On Thursday, Google beefed up its travel portfolio, moving a new set of features centered on accommodations and travel-planning out of the incubation phase and into the real world. The tech titan is banking on new research that found 46 percent of leisure travelers feel that travel planning takes too long. To pick up that pace, Google thinks it’s found the pivot point to reduce that frustration. “When you look for top travel destinations worldwide -- even if you haven’t booked anything yet -- we’ll help jump-start your trip planning with relevant suggestions right in Google Search,” wrote Google’s Berna Erol, Product Manager of Travel, and Emmanuel Marot, its Product Manager of Hotels. “We’ll show you things to do, day plans or travel articles. As you start booking and receive your flight or hotel email confirmations in Gmail, these travel recommendations will be further customized in organic search results on Google,” Erol and Marot added. Time for other travel plan portals to wake up and smell the coffee? We haven’t seen TripAdvisor, Hotels.com, Priceline, or other travel portals shaking in their boots, but Google seems determined to control all the pieces in the travel planning game just like it does in search and video. "For years the online flight search market was dominated by the likes of Expedia and Kayak. When Google got in, it was an immediate game-changer,” wrote Scott Keyes of Scott’s Cheap Flights in comments to ConsumerAffairs. “Google Flights quickly became the gold standard in flight search, and has stayed that way for years. Past isn't always prologue, and it remains to be seen if Google's foray into hotel search and booking can deliver the same consumer-friendly experience, but I wouldn't bet against it." To see for ourselves, ConsumerAffairs took Google’s upgraded travel tools out for a spin and TechCrunch’s reference point is spot-on. Starting with its sample holiday season portal, we found price graphs that showed the best airfare prices over a 5-day period, as well as deals if we booked our flight and hotel together. On top of that, weather forecasts, local events, and restaurant recommendations for our travel timeline were a finger flick away. Google says its travel tool offerings will continue to grow, too. 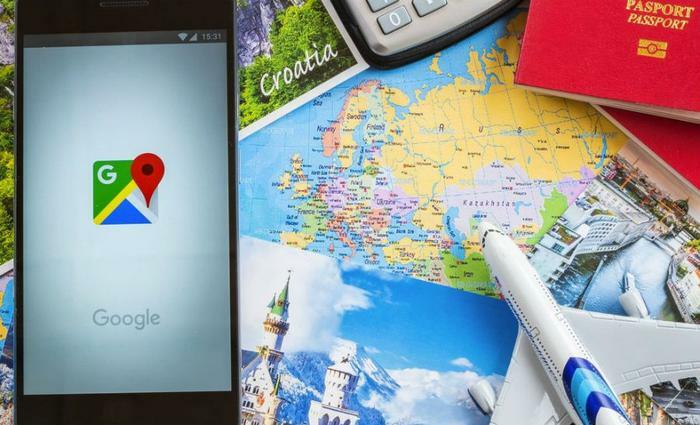 Starting sometime in October, Google will re-launch its two-year-old Your Trips app, a feature to help travelers catalog and stitch together their travel plans, as well as email trip reservations to friends or family, and update plans offline with the app (Android, iOS).